The Countdown is on for MagNet 2018! April really is just around the corner, and that means you have MagNet to look forward to. Hot topics and cool networking! Lean in as Phil Scrutton, VP, Shoppers Insights of BrandSpark International presents research commissioned by Magazines Canada to better understand how to position magazines in-store at Magazine Resilience: Who’s Buying at Retail? Phil will guide you through household shoppers’ path-to-purchase, the role magazines play, and how retailers and magazine sellers can leverage these insights to improve their business. David Topping knows that the more platforms there are, the more overwhelming they can be, and he wants to help you by sharing How to Stop Wasting Your Time on Digital. What you may not know: you really don’t have to do it all. Also: you can’t! With only so much energy, time and money to spend, how do you decide what’s worth it and what’s not? What content should you focus on publishing, and in what form, on which platforms? And how should your print magazine, if you’ve got one, fit into all that? At this talk, you’ll find out how to take your and your co-workers’ lives back from the Internet once and for all. Are you ready to make the jump? Many magazine pros have made the leap from articles to books—would you like to? Get the scoop on nonfiction publishing trends, nonfiction book proposal essentials, managing workload and getting the words onto the page at Making the Leap to Books. Join panellists Stacey May Fowles, Lauren McKeon, David Hayes and Stephen Kimber and moderator Kim Pittaway and get ready to make the leap yourself. If you work at an arts, literary or other cultural magazine, the Arts & Literary Magazines Summit is your opportunity to meet with peers in a comfortable setting that is all about YOU, YOUR magazines and YOUR challenges. There is no better place to network with cultural magazine colleagues from across Canada. Join us for a full day on April 26 of networking, workshops and discussions. 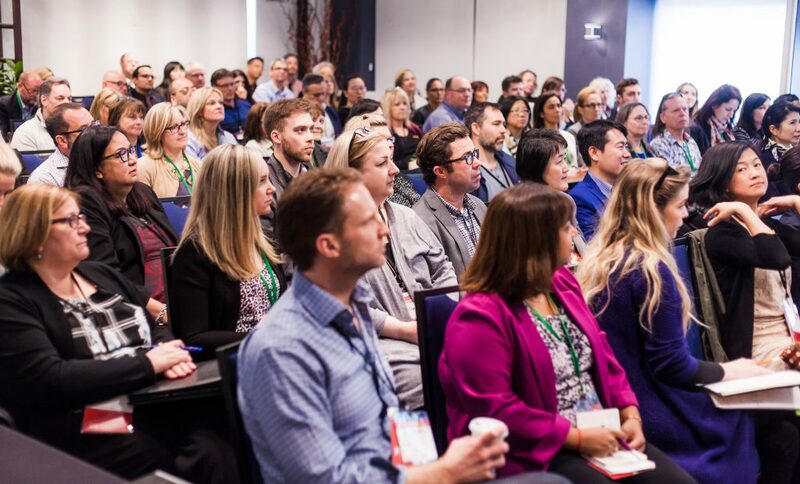 Canada’s largest magazine media superconference takes place April 25–26 in downtown Toronto! Visit magazinescanada.ca/pd/magnet for more information and make sure to follow #MagNet18 on Twitter!